Some common butterflies that you will find in the New York City area include Black Swallowtail, Eastern Tiger Swallowtail, Clouded Sulphur, Buckeye, Spring Azure, Monarch and Pearl Cresent. 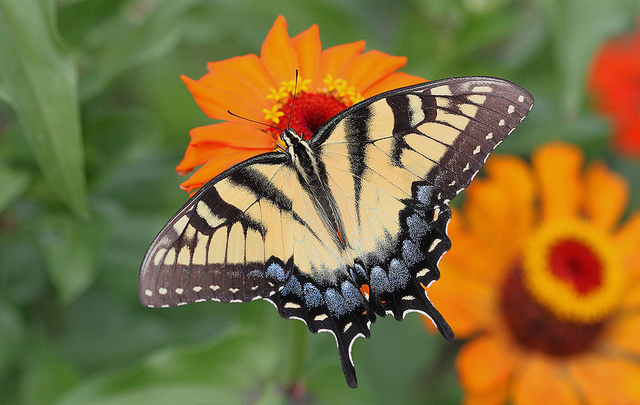 Using native plants, you can create a garden that our native butterflies can't resist. Use this resource to explore the NYBG grounds, including information about specific plants, bloom times, and garden features. Guides from the Plant Information Office related to specific NYBG gardens, including their history, design, and current plantings.